← We Visit Italy in 2007 Cont’d: Tuscany, Sienna is The Highlight!! 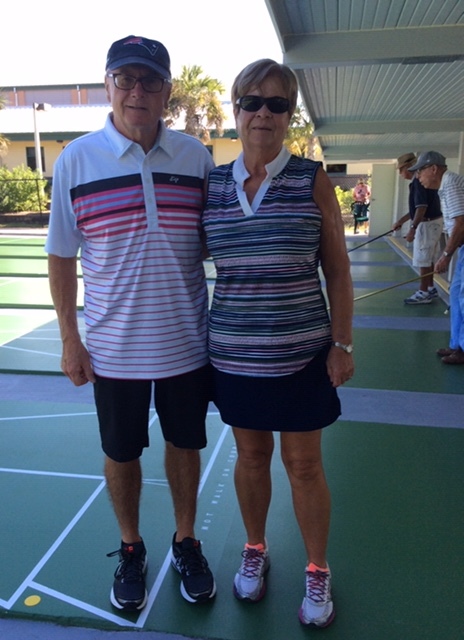 The Southern District got off to a good start at Lee County Shuffleboard Club with their beautifully refined courts and new discs. Everyone will find our courts faster and better than ever. Our first tournament had an increase of 8 players over last season, with first year pro Jack Norton teaming up with wife Deb in this open tournament; pic on the left. . Coming in second were Joan and Ray Buck. 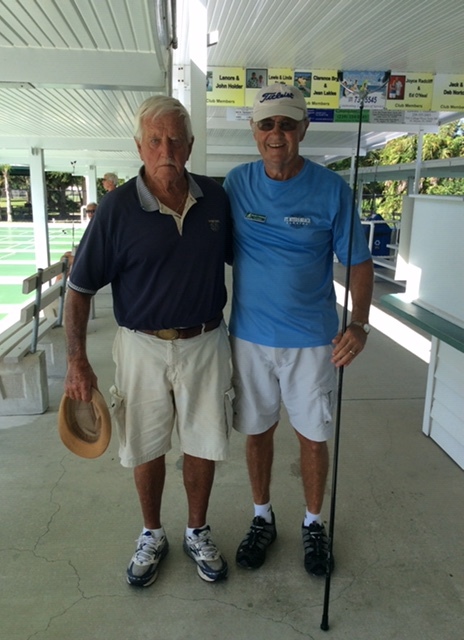 In the consolation, 1st was Ed Geueke and Randy Coleman; pic on your right. Sent by Bob Smith. Posted by Stan on 2018 10 07.